Der Workshop wird als ganztägige Veranstaltung am 10. September im Rahmen der Konferenz „Mensch und Computer 2017“ durchgeführt. Beiträge können als Kurzbeiträge und/oder Demonstrationen eingereicht werden. Angenommene Beiträge werden in Vorträgen während des Workshops vorgestellt und/oder als Demonstrationen vorgeführt. Die Kurzbeiträge werden außerdem im Workshopband der „Mensch und Computer 2017“ veröffentlicht. Interessenten können Kurz- und Demonstrationsbeiträge zu den zuvor genannten Themengebieten mit einer Länge von maximal 6 Seiten bis spätestens 16. Juni 2017 einreichen. Demonstrationsbeiträge sollen in der Regel 2-4 Seiten umfassen, die das vorzustellende System bzw. Tool, dessen Innovation sowie die geplante Durchführung der Demonstration beschreiben. Beiträge können auf Deutsch oder Englisch eingereicht werden und sollen den Formatvorlagen der MuC  entsprechen. Eine Anonymisierung der Beiträge in Bezug auf die Autorenschaft ist nicht vorgeschrieben. Die Einreichung einer druckfertigen Fassung im PDF-Format wird über das MuC Konferenzsystem Conftool  erbeten. Die Beiträge werden von zwei Gutachtenden unabhängig bewertet, die aus dem Kreis der Mitglieder der FG „Be-greifbare Interaktion“ stammen. The target audience of the studio is PhD students, post-doctoral researchers, Master Students, academic and industrial researchers and developers. The maximum number of participants admitted to the ETIS is 30. See below for information about how to submit proposals for talks or workshops. Participants will be selected according to the order of registration, and the quality of the submitted proposition. 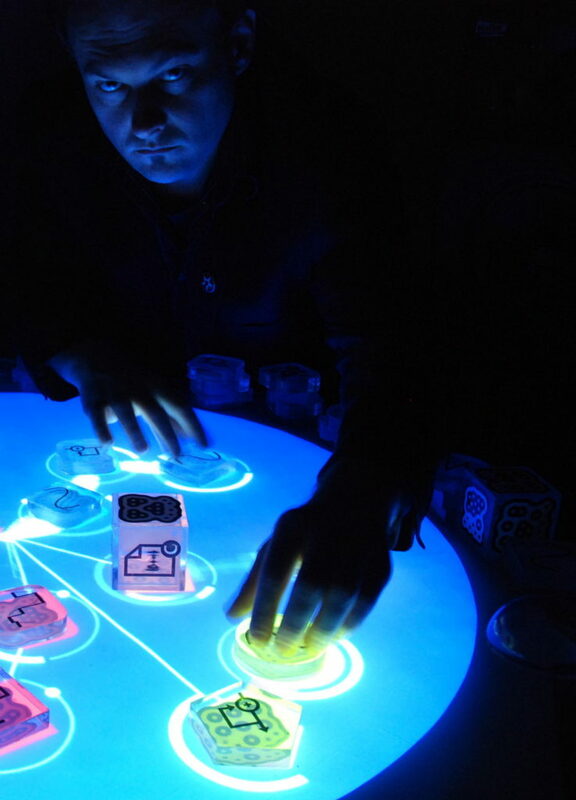 Junior Scientists but also practitioners, engineers and designers are invited to propose a talk or a workshop about their research in the field of tangible interaction including mixed/augmented reality, organic user interfaces, or physical computing. Please submit a short paper (2-4 pages including references) about your talk or workshop to Easychair: https://easychair.org/conferences/?conf=etis2017. Papers should be formatted according to the sigchi 2016 template and should not be anonymized. • Tangible interaction for various target groups (children, elderly, people with disabilities). Submitted papers will be reviewed by experts in the field with regards to the relevance and quality of the work, and their potential to enable substantive research discussions. ETIS 2017 will have CEUR workshop proceedings. After ETIS, we will have an extra CFP with extended versions for a special issue at the i-com Journal of Interactive Media: https://www.degruyter.com/view/j/icom. • On June, 23 it is a national day http://www.luxembourg.public.lu/en/le-grand-duche-se-presente/fetes-traditions/fete-nationale/index.html in Luxembourg: the birthday of Grand Duchess Charlotte. Enjoy the fireworks on June, 22 and many other happenings. Thank you very much in advance and we look forward meeting you in Luxembourg and Saarbruecken! The HCI group at the University of Stuttgart and the Fachgruppe “be-greifbare Interaktion” invite you to the “Inventors workshop: Using Physiological Sensing for Embodied Interaction” at the University of Stuttgart on Thursday, 9th March and Friday, 10th March 2017. In this workshop, we will introduce the basic concepts for sensing of human muscle activity. We provide a basic explanation of how physiological sensing works, introduce how it can be technically realized, and show different applications and usage scenarios. Using Arduino-boards with EMG shields all participants can acquire hands-on experience in creating their own EMG controlled device. During the workshop, we will first use a pre-programmed setup to demonstrate working principle and the signal output that can be expected. Then teams will define their own ideas (e.g. EMG controlled musical instrument, EMG controlled game, an innovative visualization of EMG signals, or something completely different) and work towards a fully functional prototype. 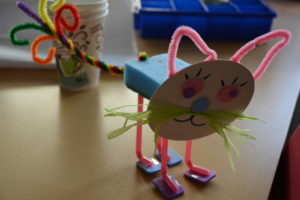 At the end of the workshop, each team will present what they have created. Optionally participants can stay for another day to continue on their project. 19:00 We leave for Dinner. You are invited to stay for another day and to continue your project. The workshop location will be available, as will be tools and expertise. The workshop is free of charge but registration is reqired. Der jährliche Workshop der Fachgruppe “Be-greifbare Interaktion” des GI-Fachbereichs Mensch-Computer-Interaktion findet in diesem Jahr wieder auf der Mensch und Computer-Konferenz statt. „Be-greifbare Interaktion“ bzw. „Tangible User Interfaces“ sind Gebiete, die sich derzeit sehr dynamisch entwickeln und bereits in der Interaktion mit Alltagsgegenständen eine wichtige Rolle spielen. Mit der Verflechtung virtueller und physikalisch-stofflicher Umgebungen sind vielfältige Fragen zur Gestaltung, Entwicklung und Nutzung neuer Informationstechniken und digitaler Medien verbunden, die in der internationalen Community diskutiert werden. 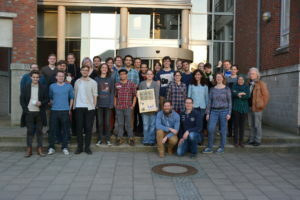 Der von der GI-Fachgruppe „Be-greifbare Interaktionen“  organisierte Workshop soll die Diskussion über diese Thematik anhand von aktuellen Forschungsbeispielen theoretisch und praktisch vorantreiben. Thema sind neueste Entwicklungen und Forschungsergebnisse im Bereich von Tangible Interfaces, Embodied Interaction und Mixed Reality. 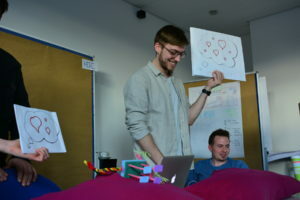 Der Workshop wendet sich an Fachleute aus Wissenschaft und Praxis und soll den interdisziplinären Diskurs zwischen Design, Informatik, Ingenieurswesen, Psychologie, Pädagogik, Medientheorie und Kunst anregen. Wir laden insbesondere auch Studierende und Interessierte, die nicht der GI-Fachgruppe Be-greifbare Interaktion angehören, zur Einreichung von Beiträgen ein. Der Workshop wird als ganztägige Veranstaltung am 4. September im Rahmen der Konferenz Mensch und Computer 2016 durchgeführt. Beiträge können als Kurzbeiträge und/oder Demonstrationen eingereicht werden. Angenommene Beiträge werden in Vorträgen während des Workshops vorgestellt oder als Demonstrationen vorgeführt. Die Kurzbeiträge werden außerdem in den Workshop-Proceedings der MuC veröffentlicht. 10. Juni 2016 (ursprünglich 5. Juni) einreichen. Um die Planungen für die Reviews zu erleichtern, bitten wir um die Abgabe eines Abtracts bis zum 5. Juni 2016. Die Abgabe eines Abstracts ist jedoch keine notwendige Voraussetzung für die Einreichung. Demonstrationsbeiträge sollen in der Regel 2-4 Seiten umfassen, die das vorzustellende System bzw. Tool, dessen Innovation sowie die geplante Durchführung der Demonstration beschreiben. Beiträge können auf Deutsch oder Englisch eingereicht werden und sollen den Formatvorlagen der MuC  entsprechen. Eine Anonymisierung der Beiträge im Bezug auf die Autorenschaft ist nicht vorgeschrieben. Die Einreichung einer druckfertigen Fassung im PDF-Format wird über das Portal EasyChair erbeten . Die Beiträge werden von zwei Gutachtenden unabhängig bewertet, die aus dem Kreis der Mitglieder der FG Be-greifbare Interaktionen stammen. The 8th inventors workshop of GI-Fachgruppe “Begreifbare Interaktion” (German Informatics Society Workgroup on Tangible Interaction) will be held on February 26-27, 2016 in Oldenburg, Germany. This year’s 2 half days inventors workshop will focus on tangible interaction for social and emotion communication. In the context of tangible interaction, we will focus on systems that can convey information about presence, status, activity, mood, etc. between geographically separated groups of people (e.g., work colleagues, family members, friends). Such systems support the experience of and the immersion into the lives of others by exchanging emotions and activities. The exchange is carried out by the design of multimodal, affective and pervasive human-technology interactions, which promote non-verbal interaction and explicit communication if required. This hands-on workshop will familiarize participants with current trends for activity awareness and tangible interaction techniques in Human Computer Interaction. 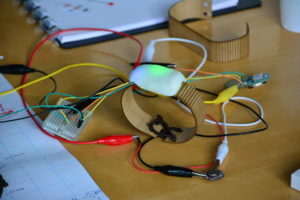 In practical sessions, participants will develop concepts for new tangible interfaces and then realize them using fabrication techniques, sensors and actuators, and Arduino-based processing. For instance, teams can realize touch-sensitive tangibles, ambient light displays, and wearable interfaces that facilitate social interaction. 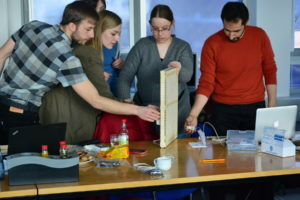 The inventor workshop is part of the activities of the Tangible Interaction workgroup within the German Informatics Society. It will be located at OFFIS Institute for Information Technology in Oldenburg, Germany. We welcome participants with backgrounds in Computer Science, Media, Architecture, Design, Arts, Psychology or Cognitive Science. The workshop will be held in English, and we especially encourage international students and colleagues to participate. No prior knowledge in electronics, hardware, or microcontrollers is required (but surely helpful). Furthermore, interest and knowledge about tangible interaction would be helpful. We will balance groups, such that both novices and people with experience in physical computing will benefit from the workshop. To participate, please register using the following form until February 7th, 2016. We recommend to register early, as the number of places is limited due to the practical nature of the workshop. We will launch a website soon with more details (including the agenda) — we will keep you informed. Participation is free of charge. However dinner, travel and accommodation costs are self-paid. If you have questions, do not hesitate to contact Shadan Sadeghian (shadan.sadeghian@offis.de). Das Leitungsgremium hat im Nachgang Eva Hornecker als Sprecherin und Habakuk Israel als stellvertretenden Sprecher der Fachgruppe gewählt. Update (21.9.2015): Folien und Beiträge verlinkt. Der Workshop “Be-greifbare Interaktion” findet am Sonntag, dem 6.9.2015, von 9.00 bis 16.00 Uhr auf der Mensch-und-Computer-Konferenz an der Universität Stuttgart im Raum PWR5b.1 statt. Unmittelbar nach dem Workshop findet eine Sitzung der Fachgruppe statt, in der das Fachgruppen-Leitungsgremium gewählt wird. Bis zum 6.9. in Stuttgart! Wie wirkt sich die Repräsentationsmodalität auf die User Experience multisensorischer Datenrepräsentationen aus? Wir alle nutzen regelmäßig Bilder, Graphiken und andere Repräsentationsformen, um Daten darzustellen und veranschaulichen. Die meisten gängigen Repräsentationen nutzen nach wie vor rein visuelle Darstellungsformen. Heute stehen uns jedoch neue Techniken zur Verfügung, andere sensorische Modalitäten zu nutzen. In Kunst und Design (z.B. Data Art) wird vielfach damit experiment, durch Materialität und räumlich erfahrbare Installationen einen anderen Zugang zu Daten zu bieten, die so direkter erfahrbar werden und ungewohnte Sinnesmodalitäten nutzen oder Inhalte metaphorisch umsetzen. Auch in der HCI wird seit kurzer Zeit die Idee der ‘Physicalisation’ erprobt und erforscht, d.h. die Übertragung visueller Datenrepräsentationen in be-greifbare Objekte. In diesem Vortrag berichte ich über die gemeinsame Arbeit mit Trevor Hogan (Cork Institute of Technology, CIT, Irland) zur User Experience multisensorischer Datenrepräsentationen. Unser Interesse gilt dabei nicht traditionellen Evaluationskritierien wie der Effizienz oder Effektivität der Informationsvermittlung, sondern richtet sich darauf, wie Information wahrgenommen und interpretiert wird, welche Reaktionen sie erzeugt, und welche unterschiedlichen Erfahrungen und Impressionen dabei entstehen. Wir nutzen wir einen phänomenologisch orientierten Ansatz der auf die direkte Erfahrung zielt, und verwenden Methoden wie das Repertory Grid, Videoanalyse, sowie Vermeersch’s Elizitationsinterview. Unsere Studien lassen vermuten, dass nicht-visuelle Modalitäten einen emotionaler geprägten empathischen Zugang erlauben und oft als ‘direkter’ empfunden werden.